A new AcuLife promotion is here for one week only. 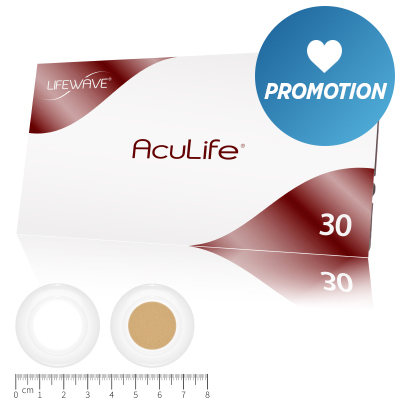 Buy two sleeves of AcuLife patches and get a third FREE! Get 3 sleeves for only $119.90* (normally $149.85+) and receive 94 BV points. This promotion starts on the 12th February 2018 and runs until the 19th February 2018! This is your chance to save on our safe and natural pain relief for horses. Convenient and easy to use, AcuLife patches reduce inflammation and can be used for whole body or local pain. *LifeWave Members Only. No limit on purchase quantities. No product substitutions. Not available through Autoship, Enrollments or Upgrades. This promotion is only available where AcuLife products are currently sold. No refund on promotional items for LifeWave Members. Promotion runs from 12th February 2018 at 09.00 a.m. GMT to 19th February 2018 at 09.00 a.m. GMT. Cannot be used in conjunction with any other product offer, multi-unit pricing or product promotion. +Member pricing only.